ANGELA K. DURDEN is that rare writer who has successfully crossed genres and industries. If the project involves words, she has probably chosen them for it. 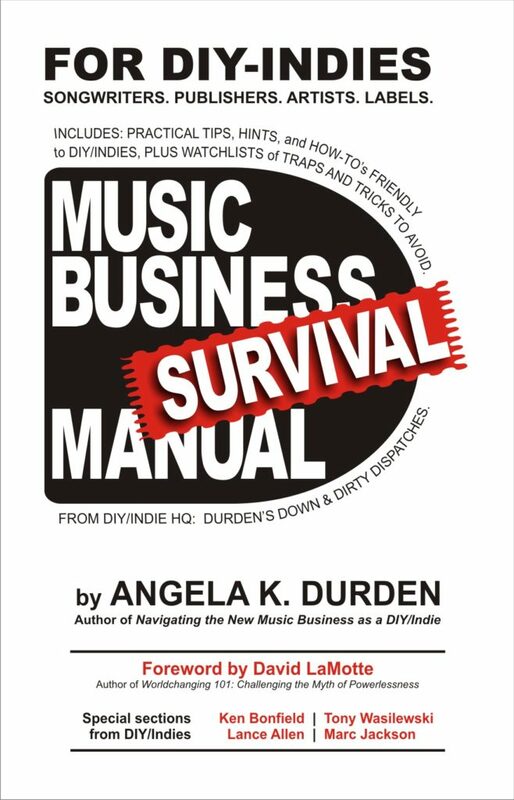 From columns in newspapers to articles in trade publications; from internal and external communications for large and small corporations to bios for authors, CEOs, musicians, and artists; from business and fiction books to songwriting, Durden has managed the life cycle of the word since she started her company in 1992. She is also one of the best graphic designers around, including shooting photos needed for projects, designing the printed or digital piece, and writing scripts and treatments for and/or producing corporate and music videos. For almost four years, Angela was managing editor for an international nonprofit trade group association’s monthly newsletter. For six years, she guided the manufacturer-mandated dealer validation process for a multi-location retail new and used commercial truck dealership. Angela won national attention in 2000 for her first published book, Nine Stupid Things People Do To Mess Up Their Resumes. On her first radio appearance, she advised syndicated host G. Gordon Liddy about how to best cover up the long gap in his resume. In 2006, she launched the Mike and His Grandpa series of children’s books with Heroes Need Practice, Too! and The Balloon That Would Not Pop! The release of the first children’s book was followed by Eloise Forgets How to Laugh and other books. These and her memoir — Twinkle: a memoir — are available on Amazon.com. In between teaching creative writing workshops at schools, she was project coordinator and graphic designer for a four co-author book entitled Opportunity Meets Motivation, about why and how four women from different walks of life went into business for themselves. Novels, both completed and in development, are being shopped to publishers with an eye to placing them into films or television series. In development is a series of crime novels branded as From the Case Files of Smith and Jones. Whitfield, Nebraska, and trilogy of Dance Floor Wars: Dispatches From the Front, Lucinda’s People, and Collision are more titles. Angela is dedicated to helping companies, authors, music artists, and musicians find success and be profitable, and looks for opportunities to do that in a variety of ways. Both she (as songwriter) and her company, Second Bight Publishing, are affiliated with SESAC (www.sesac.com), ASCAP (www.ascap.com), and BMI (www.bmi.com). Angela is also a member of the The Recording Academy (www.grammy365.com), film-business-oriented GPP: Georgia Production Partnership (www.georgiaproduction.org), and Grammy-allied GMP: Georgia Music Partners (www.georgiamusicpartners.org). Aligned with all of the above projects, Durden formed an LLC which provides a SaaS (software as a service) solution to protecting, defending, and managing data for an under-served worldwide market. You may visit that here at MyDigitalCatalog.com. A Georgia native, she has two grown children and two grandchildren; and loves to meet people who are engaged in life, have a positive mindset, and never say die.